The first “gadget” we’ve seen at TechCrunch50 is the FitBit, a wireless 3D pedometer and diet monitoring system that will cost $99 and connect online to upload activity levels and food intake. 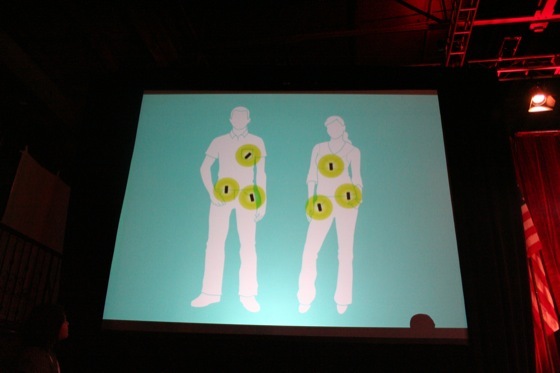 The device, which is getting a lot of buzz, clips to almost any piece of clothing and is almost invisible. When you pass by the wireless base station the FitBit transmits all of its collected data and transmits it to the website where it is processed. You can also add food eaten and other data and it also tracks sleeping patterns. The founder already lost 15 pounds using an early version of the device simply by becoming mindful of his activity and calories burned. 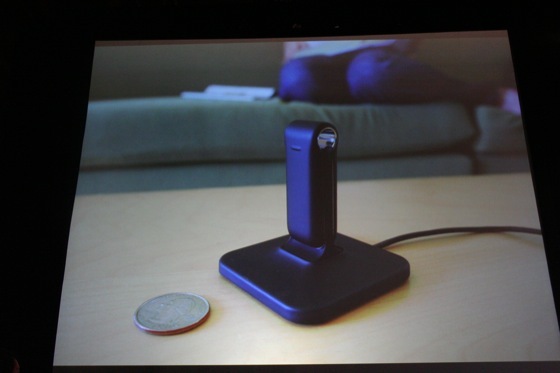 The product is similar to the Nike+iPod gear available now but the wireless sync is the real draw in this case. It’s a fascinating product and definitely a compelling little widget that could a lot of us a lot of good. Knocking off 15 pounds on my orotund Polish-Hungarian frame would be nice. 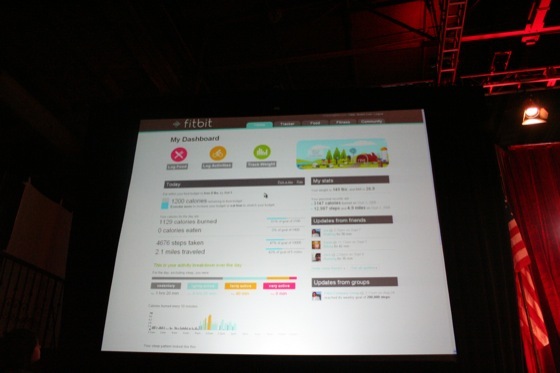 Watch the video of FitBit’s presentation here.